In books lauded as brilliant, exhilarating and profound, Roberto Calasso has revealed the unexpected intersections of ancient and modern through topics ranging from Greek and Indian mythology to what a legendary African kingdom can tell us about the French Revolution. 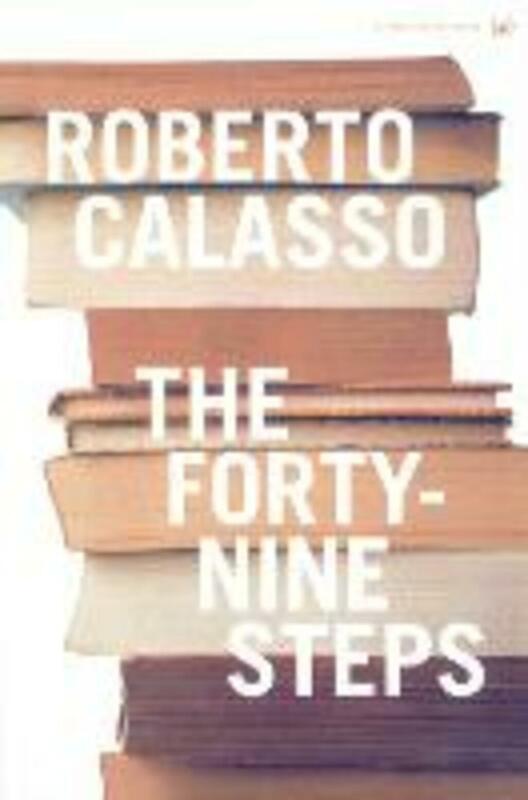 In this first translation of his most important essays, Calasso brings his powerful intellect and elegant prose style to bear on the essential thinkers of our time, providing a sweeping analysis of the current state of Western culture. 'Forty-nine steps' refers to the Talmudic doctrine that there are forty-nine steps to meaning in every passage of the Torah. Employing this interpretative approach, Calasso offers a 'secret history' of European literature and philosophy in the wake of Nietzsche, Marx and Freud. Calasso analyses how figures ranging from Gustav Flaubert, Gottfried Benn, Karl Kraus and Martin Heidegger to Walter Benjamin, Franz Kafka, Bertolt Brecht and Theodor Adorno have contributed to, or been emblematic of, the current state of Western thought. This book's theme, writ large, is the power of the fable - specifically, its persistence in art and literature despite its exclusion from orthodox philosophy. In its breadth and the nature of its concerns, The Forty-nine Steps is a philosophical and literary twin to the widely praised Marriage of Cadmus and Harmony. Combining erudition with engaging prose and original insights, Calasso contributes a daring new interpretation of some of the most challenging writers of the past 150 years.